Laserfiche ECM provides the ability to establish and deploy information management standards throughout the enterprise while giving individual business units tools to customize the system to meet their specific needs. 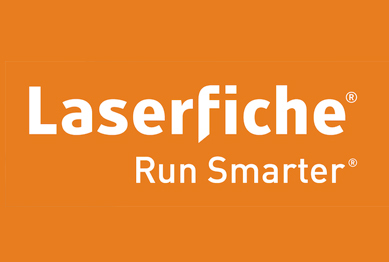 With document imaging, document management, business process management and records management baked into the core system architecture, Laserfiche makes it possible to standardize on a single ECM system – revolutionizing the way information is managed, shared and presented. Forms the core of the Laserfiche enterprise content management solution, allowing you to manage content, mitigate content-related risks and put information to use for business people and processes. Enables organizations to automate standard, collaborative business processes, such as approvals or routing based on conditions. The software transforms your static Laserfiche repository into a dynamic content management solution that ensures your business processes are performed consistently and efficiently. A Web browser–based thin client that provides comprehensive document management capabilities. Delivering virtually all the functionality of the standard, installed Laserfiche interface, Web Access enables consolidated management of resources and data, and provides remote or portable access. A version of Laserfiche that contains a DoD 5015.2-certified records management module, enabling you to track the life cycle of records in your Laserfiche repository and comply with demanding regulatory requirements. An automated data capture solution that improves the efficiency of data entry and document organization. It automates processing for a high volume of information by capturing data from various formats and sorting documents according to custom criteria, helping you put content to use quickly. A Web browser–based thin client that generates a content portal site based on your repository, without requiring coding or programming, providing read-only access to documents and functioning as a secure portal for access to public information. An iPhone app that enables you to capture, upload and securely access and work with documents inside your Laserfiche repository, while on the go. Tracks repository activity and provides a separate, Web-based interface for running detailed reports on the tracked information. The product’s ability to monitor, record and report on system activity makes it a key component of the Laserfiche enterprise content management suite. Built on Microsoft standards that make it widely interoperable, extensible and easy to administer, Agile ECM engineered with Laserfiche and SharePoint is a complete information management ecosystem that allows IT managers to easily control unstructured content and improve data governance. A Web-based form solution that allows you to capture and archive information through customizable forms that can also be placed on your public Website. Once forms have been submitted, user-defined approval processes and task lists ensure appropriate action is taken quickly. A powerful software development kit that extends your enterprise content management capabilities by allowing you to develop custom solutions that leverage the power of your Laserfiche repository. Enables publication of an entire repository or part of a repository for archiving or distribution. Publishing can be done directly to a CD, DVD or other removable media, as well as to a folder on your hard drive.